When you grow up in a big family, getting everyone to agree on anything is no small victory. My four sisters are some of the most opinionated women you will ever meet. 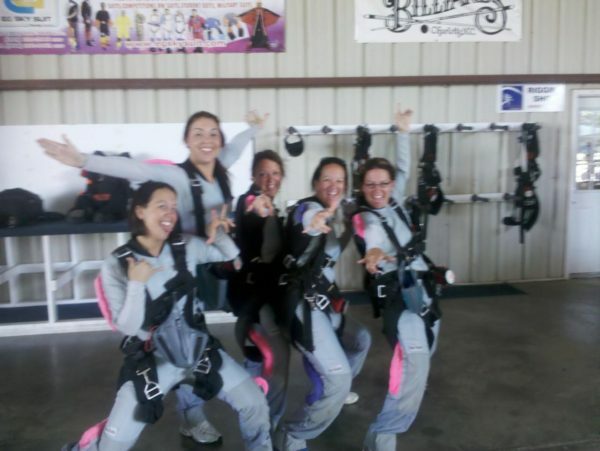 Yet, we all agree that one of the best days of our lives happened 14-thousand feet in the air. Most people think you have to be crazy to jump out of a plane. I mean, have you ever seen video of people plummeting to the ground in wind so strong it distorts their face? For me and my 4 sisters, just 5 moms who grew up in the countryside of Indiana, it somehow made sense. After 20 years of marriage I found myself grappling with the prospect of mothering a young child amid a divorce. Suddenly, I was unsure of my future, and feeling a little like I had been dropped into a foreign movie. I wanted to withdraw from the world for awhile. 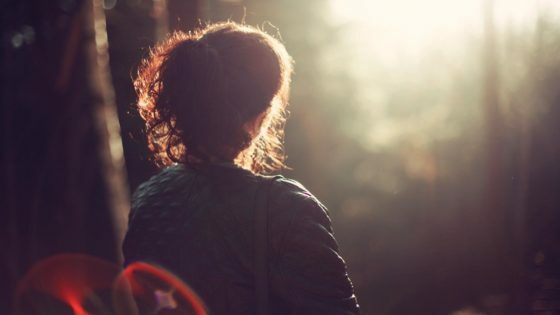 Instead, I decided to push myself in a way that would require me to be fully present in my own life. Skydiving seemed like a reasonable solution, at the time. When I told my sisters about my idea they decided to join me, including Jennifer, who is deathly afraid of heights. My sister Rene was also feeling unsure about the future. She had just moved to a new city with her family, far from our childhood home. Sister number 3 was slightly freaked out by the idea but Laura didn’t want fear to be a reason to watch from the ground. My whole family is so nosey I’m sure she was afraid she’d miss something. Baby sister, Claire, was not to be left out. She was in the midst of her own struggles and was fed up with the health issues that were confining her. Inside the briefing room, paperwork was the first order of business. There is a lot you have to agree to before they let you just jump out of a plane. As we watched a video that demonstrated proper jumping technique, the feeling inside that room shifted from an enthusiastic seize-the-day mentality to the realization that if something went wrong our children would be in therapy for the rest of their lives. When it was time to suit up there was a lot of laughter. That’s not unusual when the 5 of us get together but this time, the laughter was mixed with excitement and nerves. A sure sign of a memorable moment. After a few pictures, it was time to load up into the planes. I suddenly realized that, as the big sister always in charge of protecting my younger siblings, my mom was going to kill me if we didn’t all land safely. I pushed the thought out of my mind, told my fear to shut up and said a little prayer. It’s a pattern I’ve learned to perfect over the years. The instructors split us into two groups. We had to go up in separate planes. This was really happening. 7 minutes up seemed like an eternity. Then it was time to go back down. We jumped in order of our age. I was first. Surprisingly, you don’t actually feel like you are falling. It is more like floating. The free fall lasts only a minute. Although you are moving 120 miles an hour, there is no sensation of acceleration with your stomach in your throat. It is in that moment that you gain a new perspective. It is quiet. The world becomes bigger and your problems smaller. It’s like throwing cold water on your face. It wakes you up to your life. 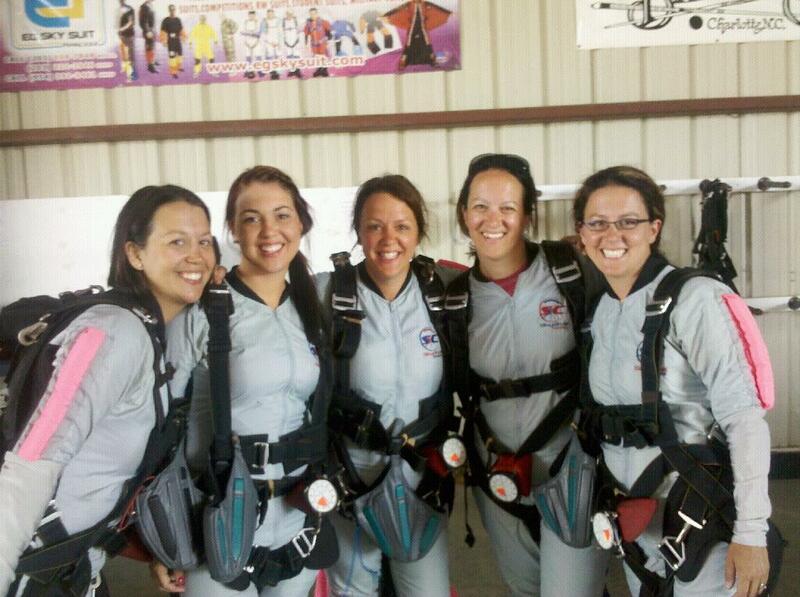 Next, Jennifer, a mother of 5, conquered her fear of heights. 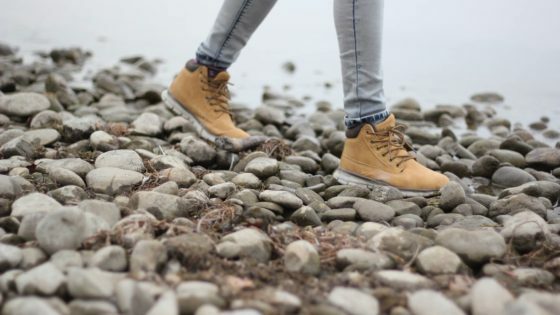 By the time Rene’s feet hit the ground she was ready to face living away from home and finding a new career. 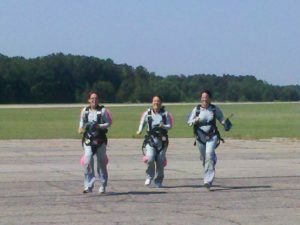 Claire who at age 28 had more health scares than someone 3 times her age also landed safely. This time her body did not fail her. “God rocks.” “Incredible.” “Breathtaking.” We had few words when we landed but plenty of hugs for each other as our kids ran to greet us. Somehow there was an understanding we would never be same. Years later, I still cry when I look at the video. It is the single moment I knew we were all going to be okay. Always. I wasn’t sure of much at that point of my life but I knew I would always have my family beside me. I knew whatever our individual struggles, we were strong enough to survive them together. I knew our children who were watching from the ground would learn from us how to deal with the worst that life had to offer. Most importantly, I knew we would always be able to enjoy the best that life had to offer. My family argues as much as any but we know how to rally around each other. It is with that memory in my heart that I plan my trip to visit 50 places I’ve never been the year I turn 50. I expect laughter. Excitement. Nerves. Pictures. Beauty. Ah-ha moments. And my sisters.